Take your meeting to a new level at the only waterfront venue in the area. Have you ever sat in a boring meeting at a conference or event? Have you stared at your phone, hoping a crisis at work will take you away? That won’t happen at Living Water Resorts. We include wellness, the outdoors, adventure and fun into your gathering at the only waterfront venue in the area. So take a break from robotic meetings. 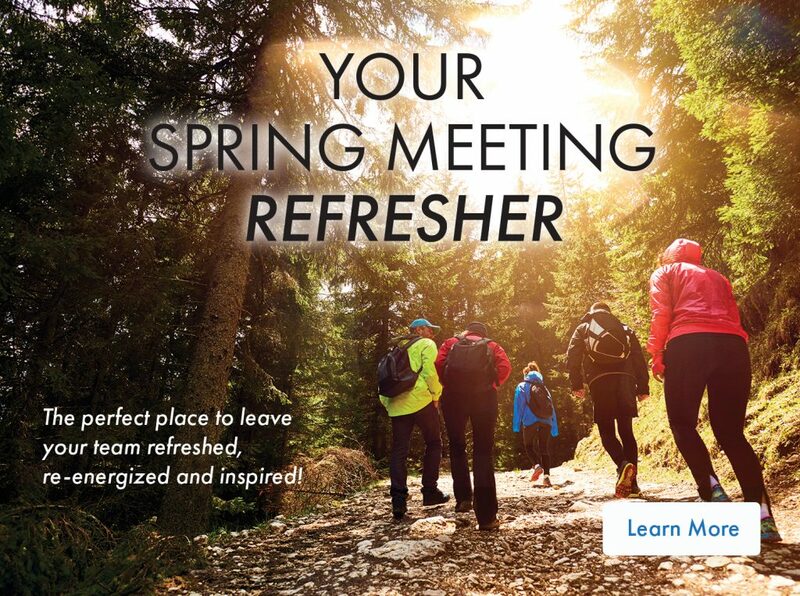 Breathe in some of the freshest air — and breathe new life into your meeting. Our meeting options — from waterfront meetings and accommodations, to team building sessions around the fire pit or a relaxing afternoon in the spa or on the links — will reinvigorate your participants and inspire innovation and creativity. It won’t be an ordinary meeting at Living Water Resorts.